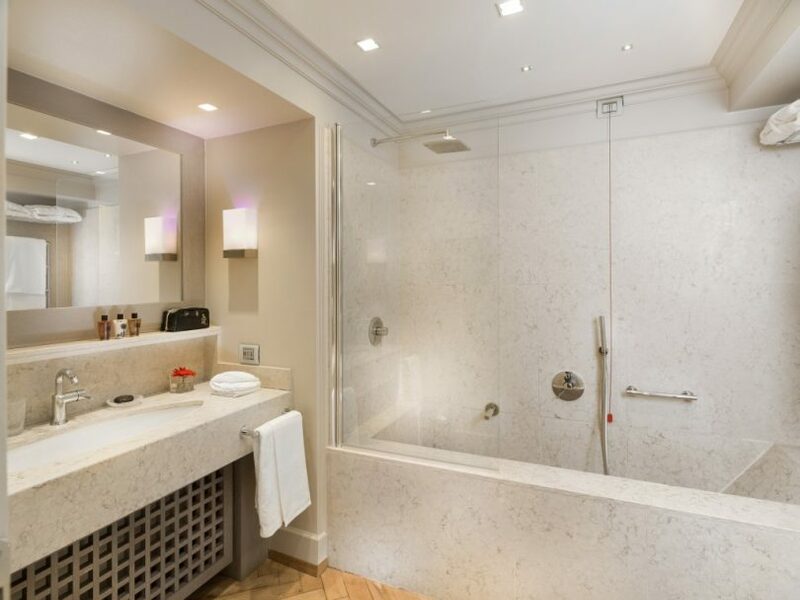 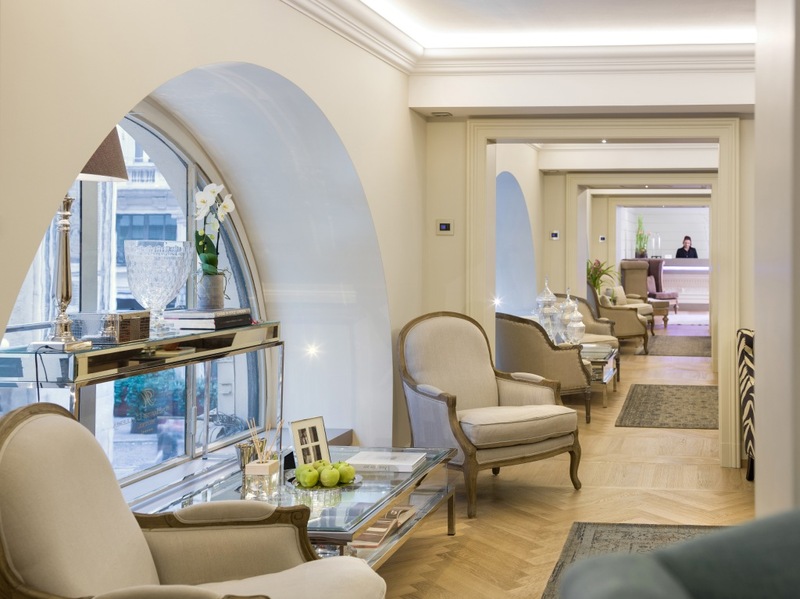 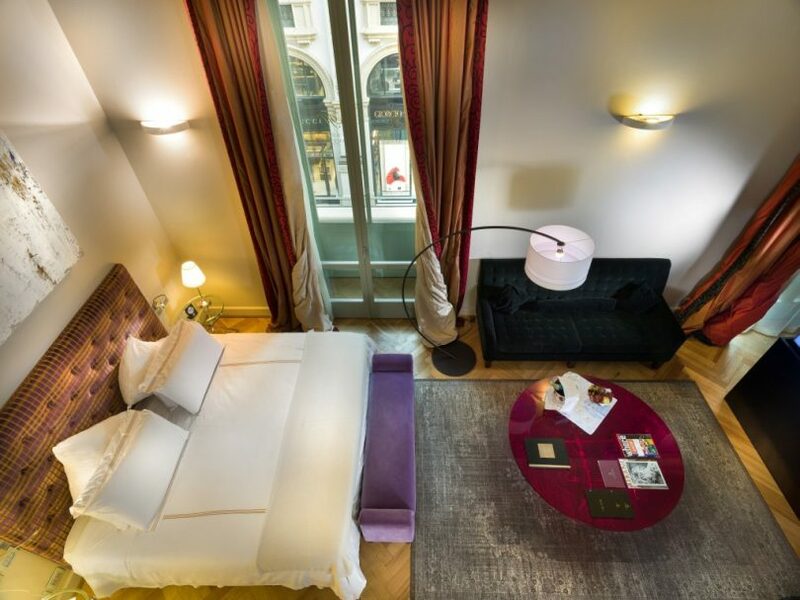 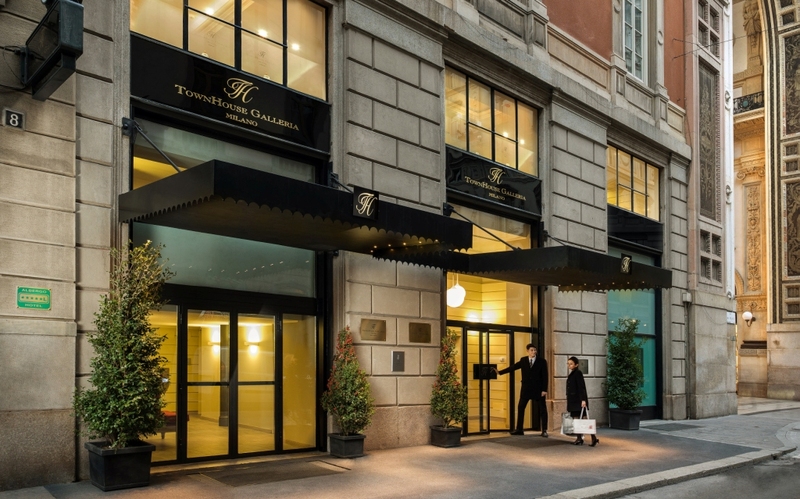 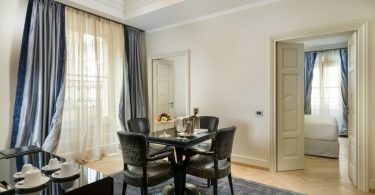 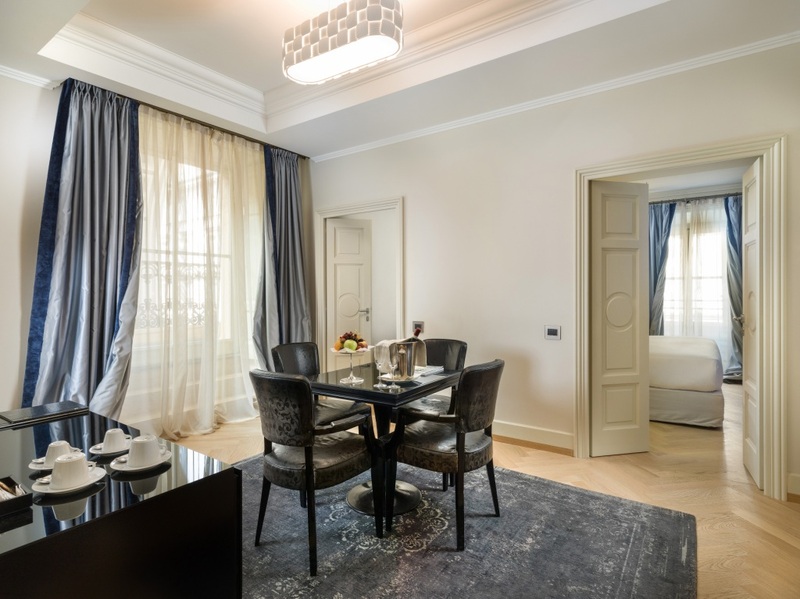 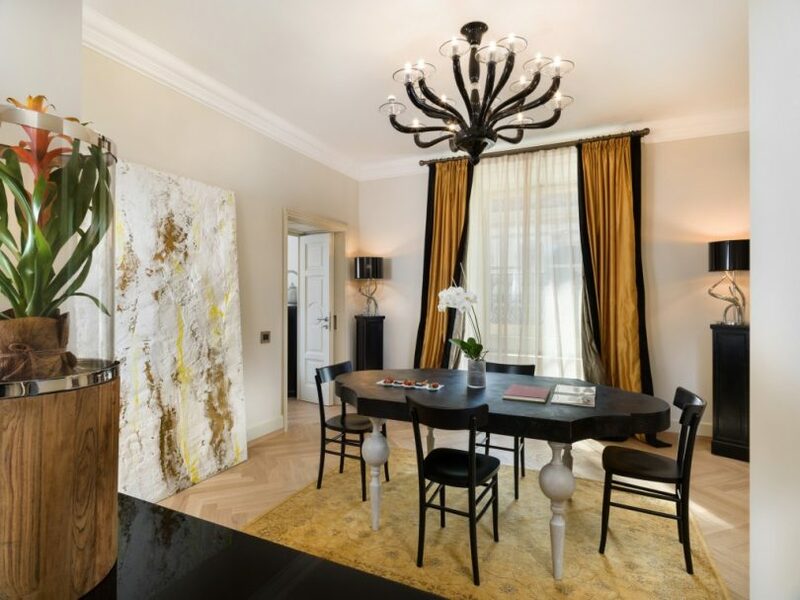 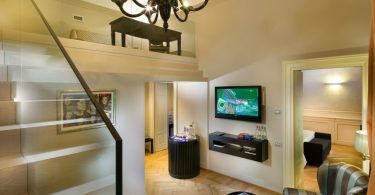 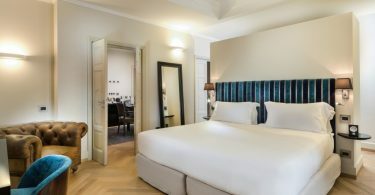 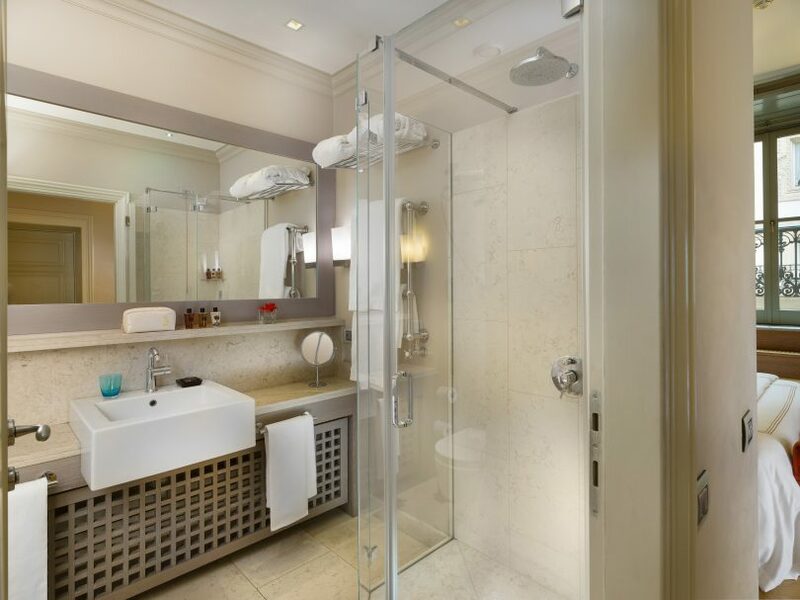 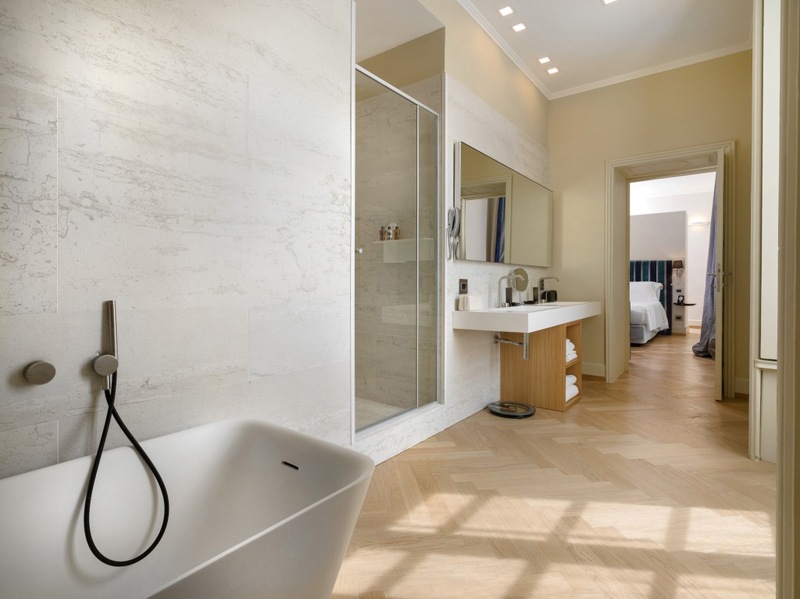 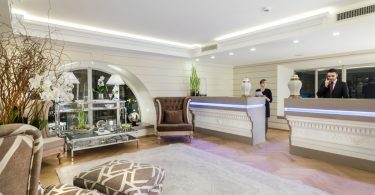 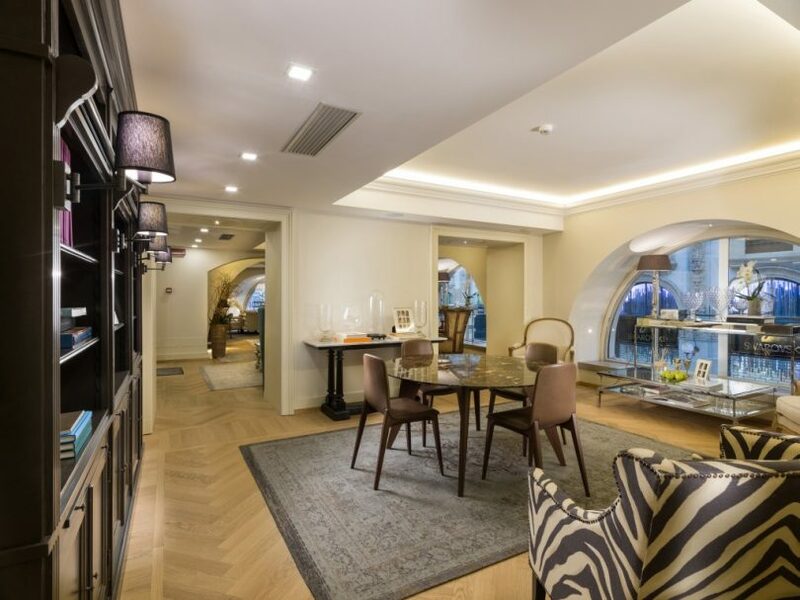 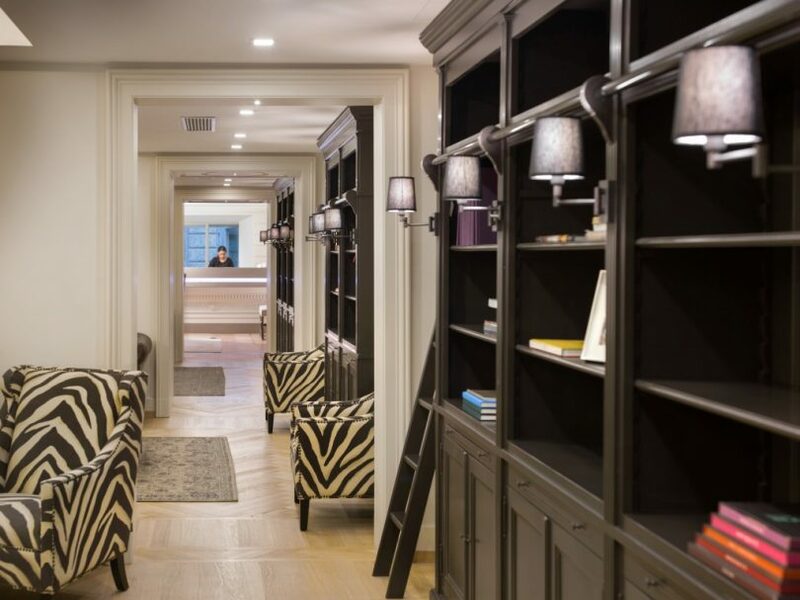 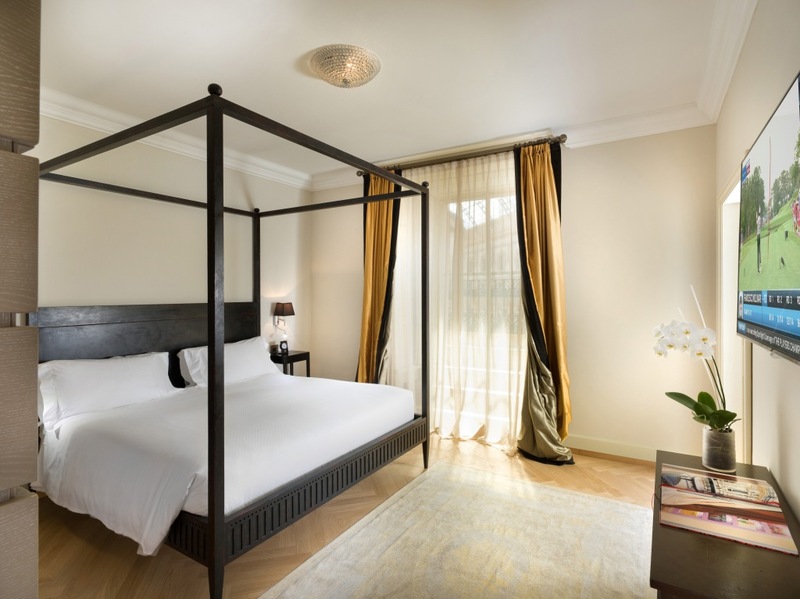 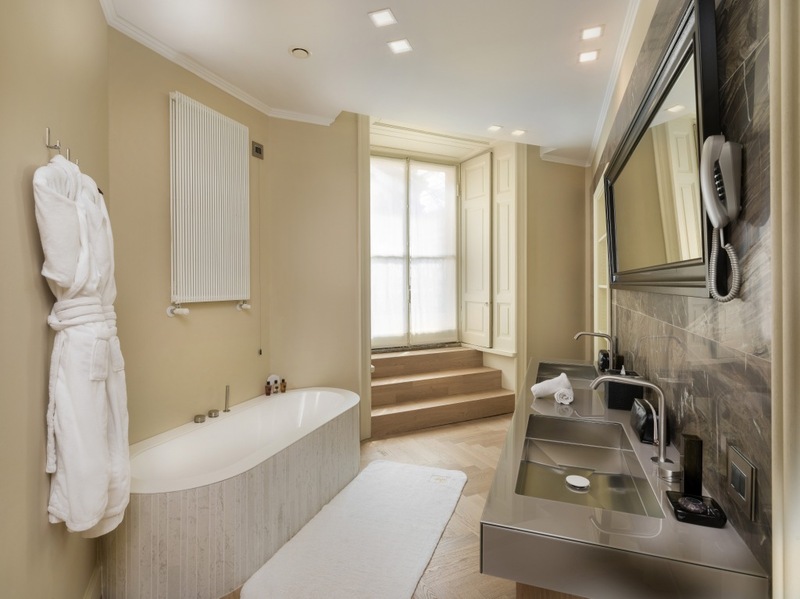 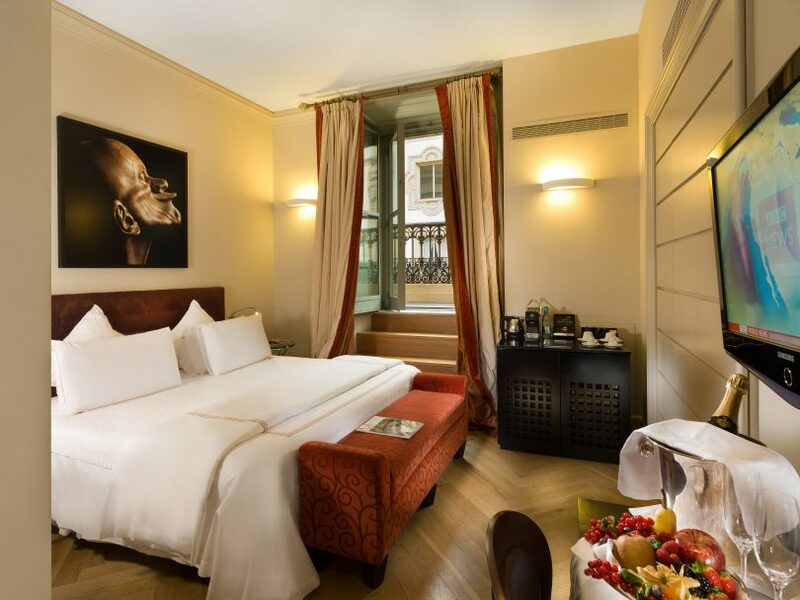 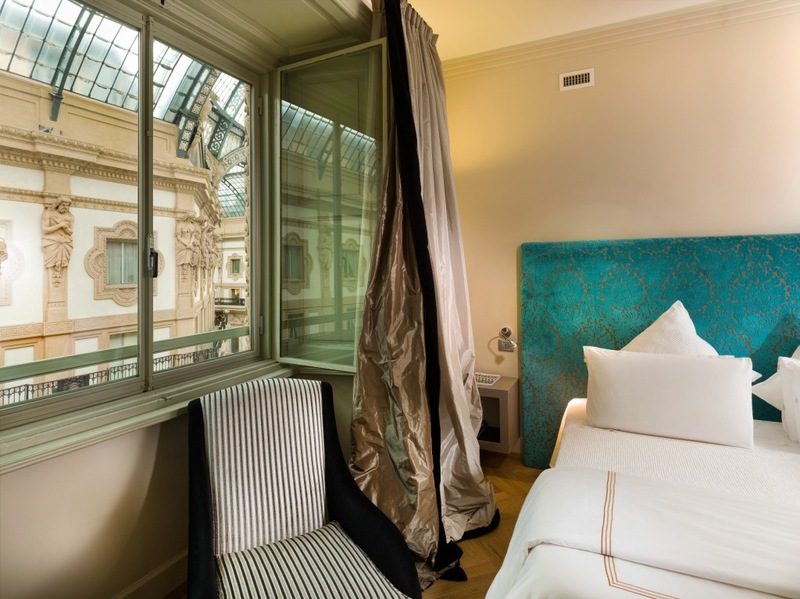 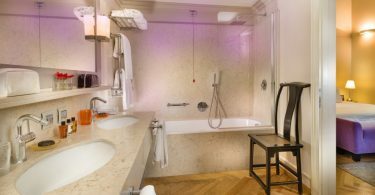 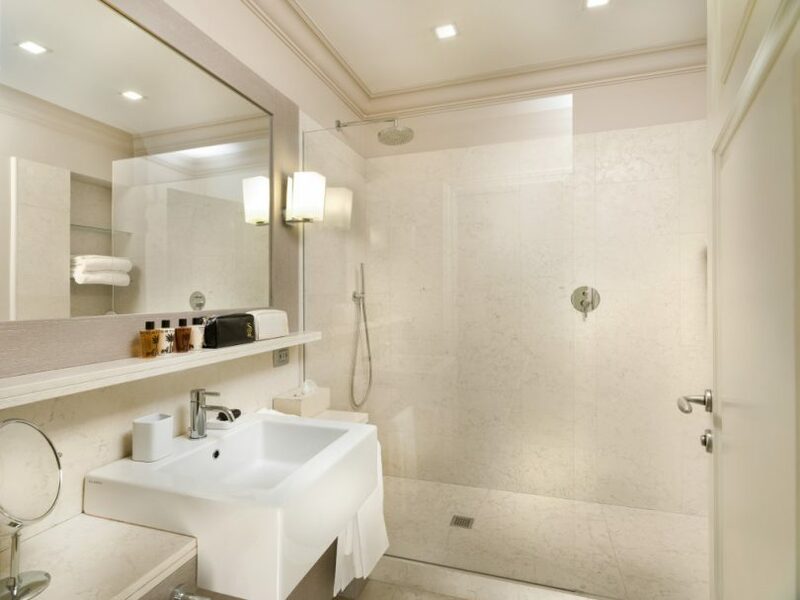 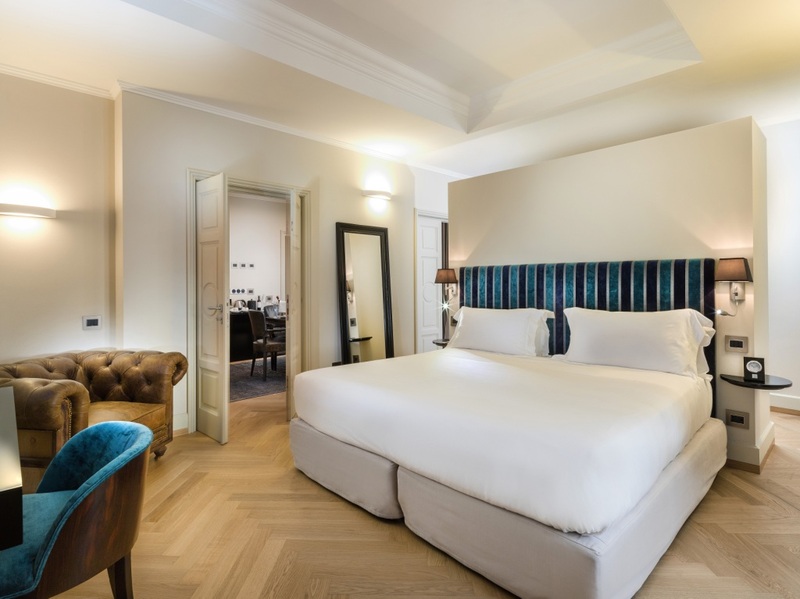 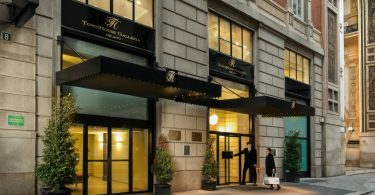 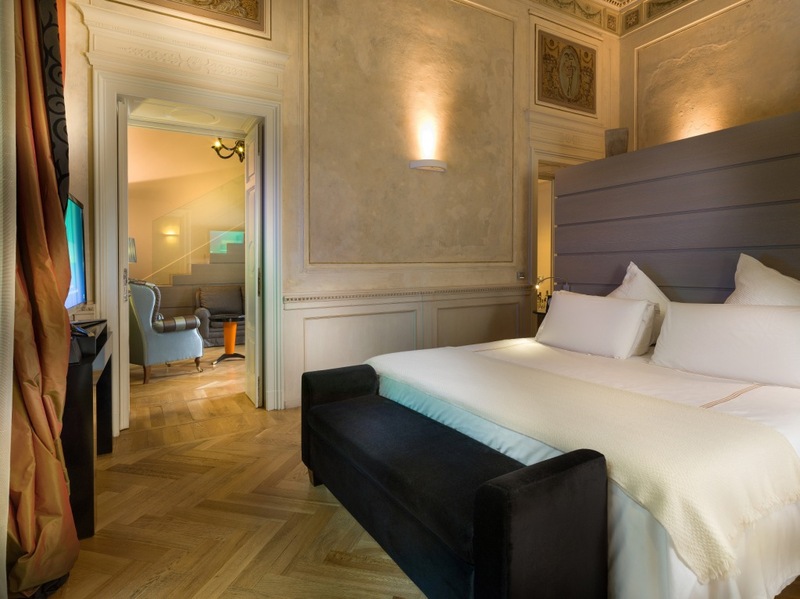 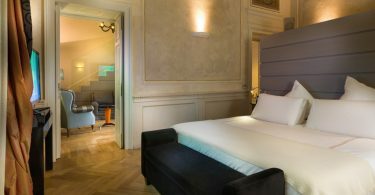 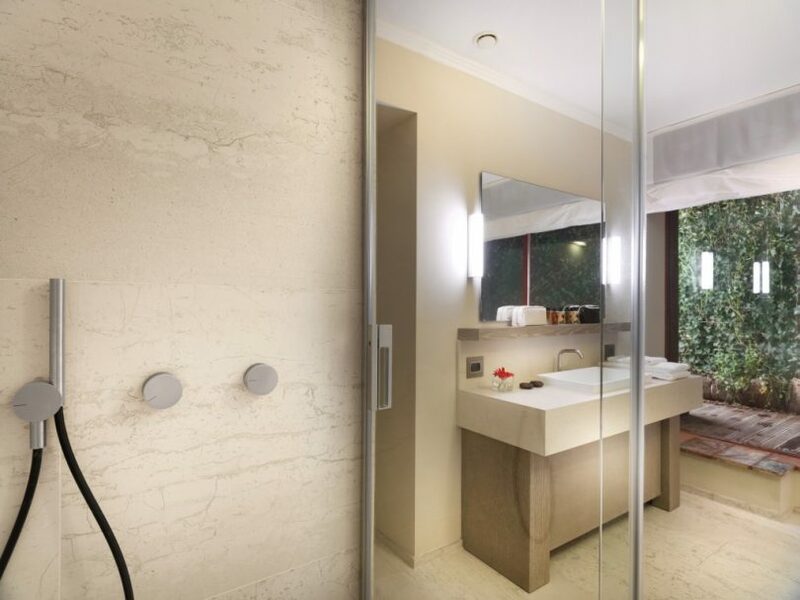 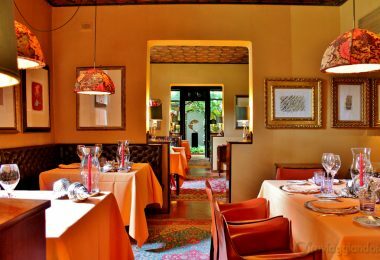 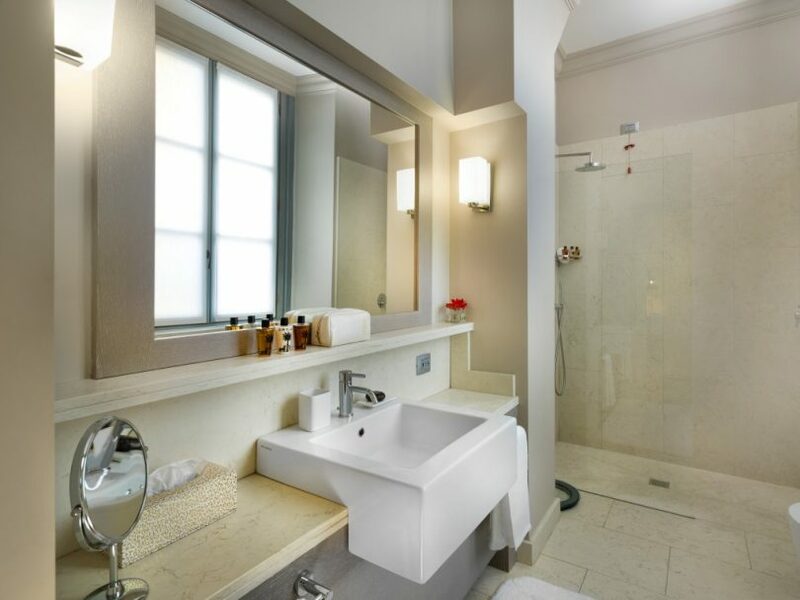 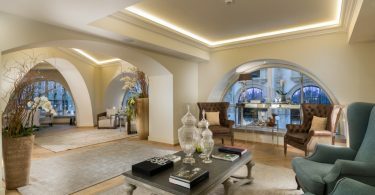 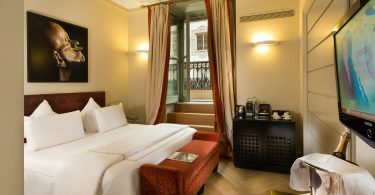 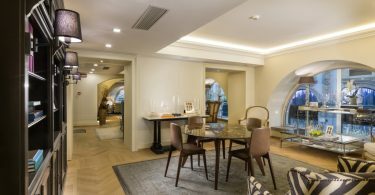 Superbly located in the heart of Milan inside the famous Galleria Vittorio Emanuele II, TownHouse Galleria 5 star luxury hotel holds on to its history while providing world-class accommodations. 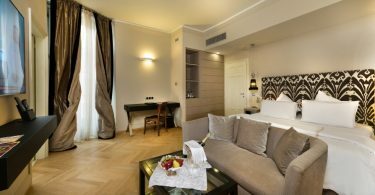 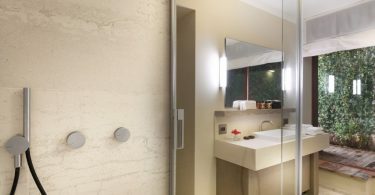 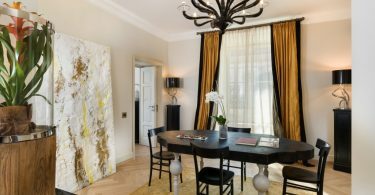 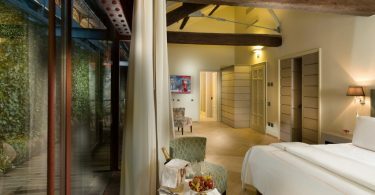 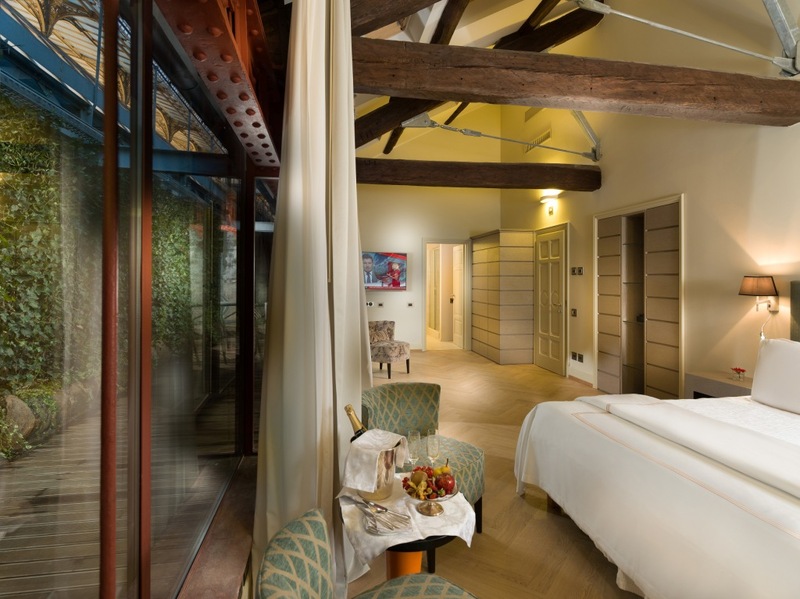 The 58 rooms and suites with a stunning view inside the Galleria offer an intimate elegant hideaway, in the heart of Milan. 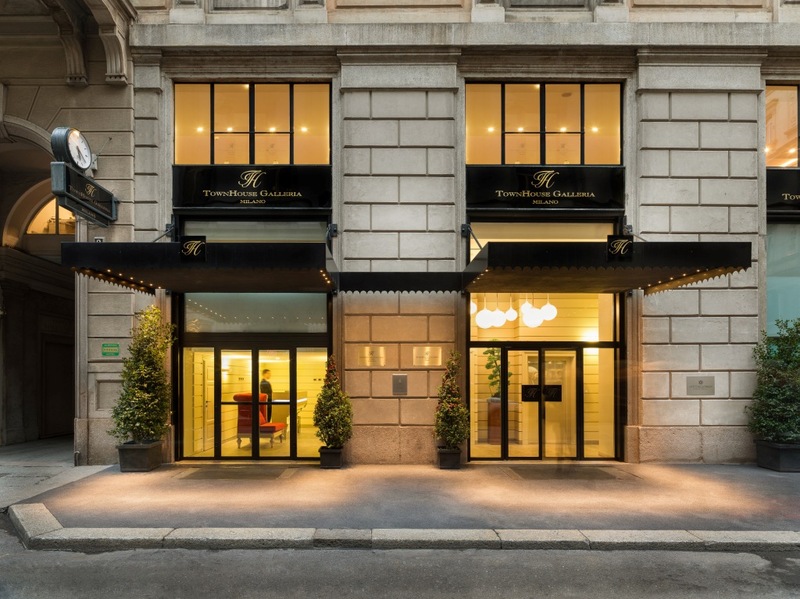 With its luxury lounges and an Oyster Bar overlooking the center of the Galleria, our luxury hotel in Milan is the ultimate getaway for the best Milan’s shopping experience. 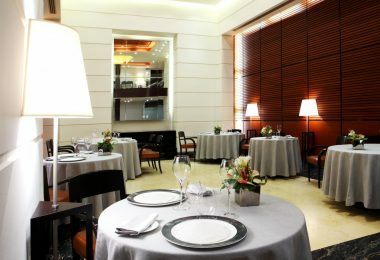 Ottagono Lounge & gourmet restaurant and the Spa located at the last floor offer a unique view of the Galleria rooftops. 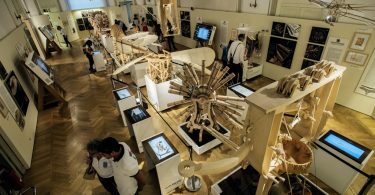 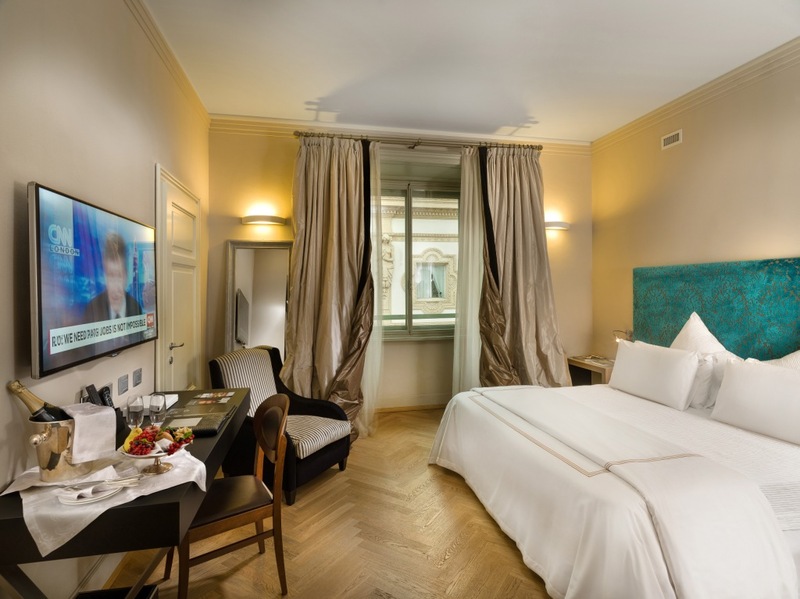 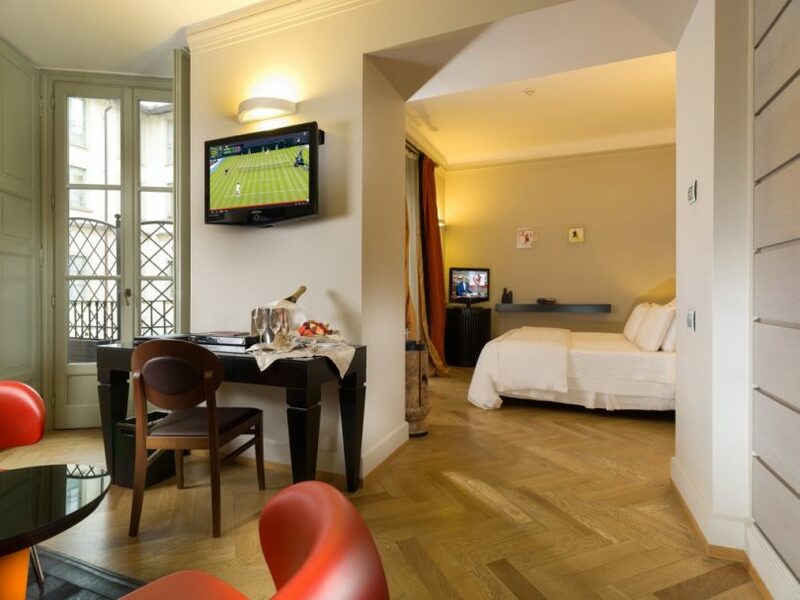 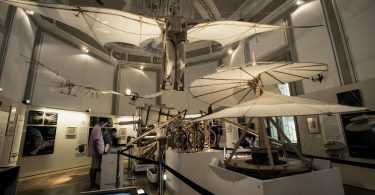 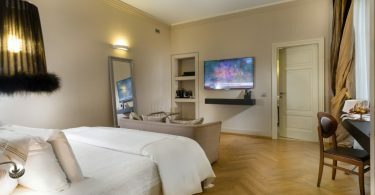 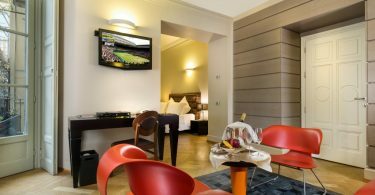 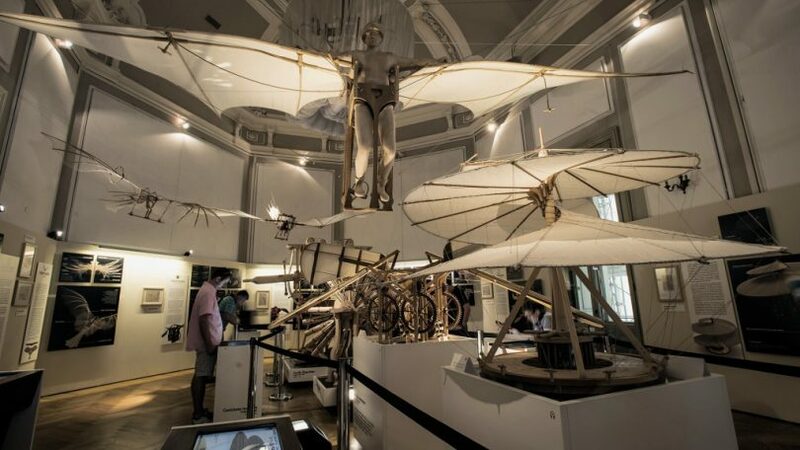 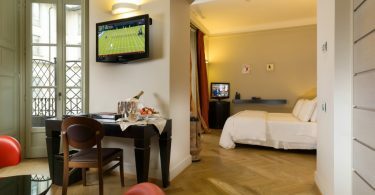 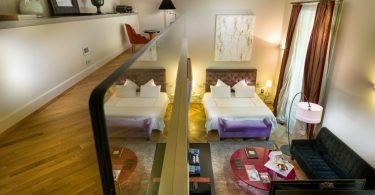 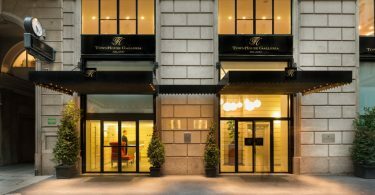 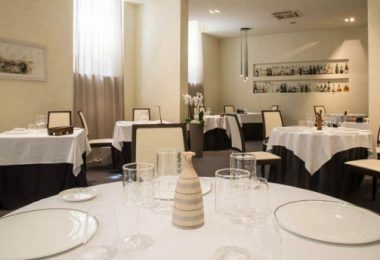 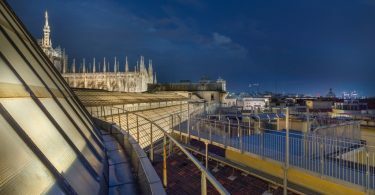 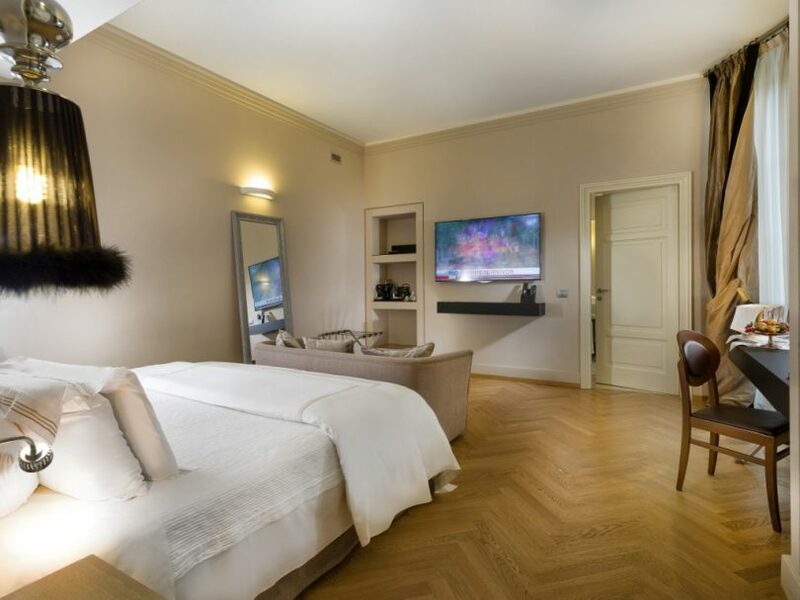 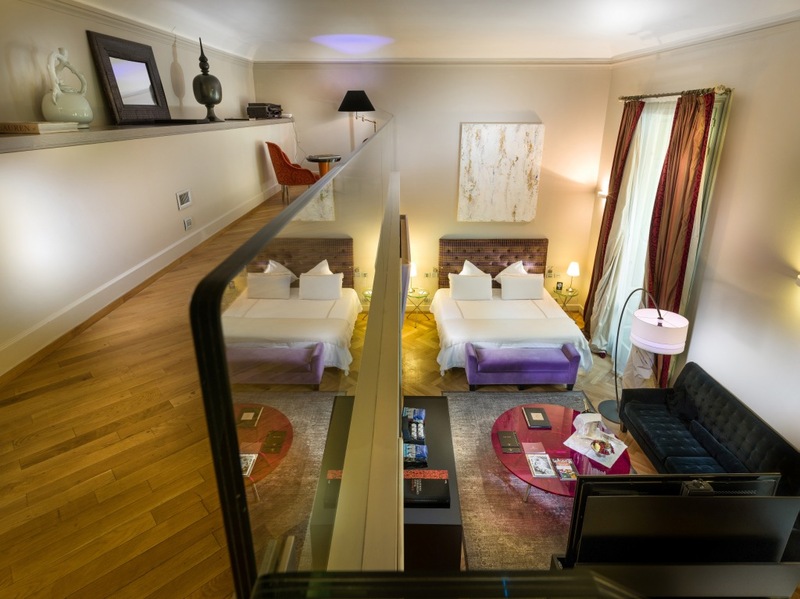 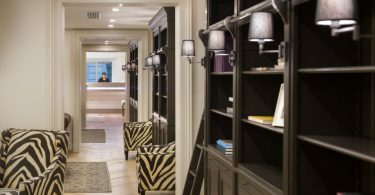 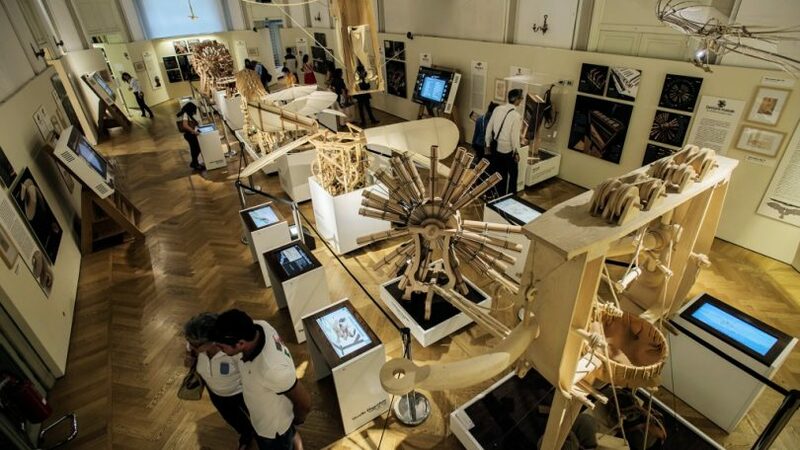 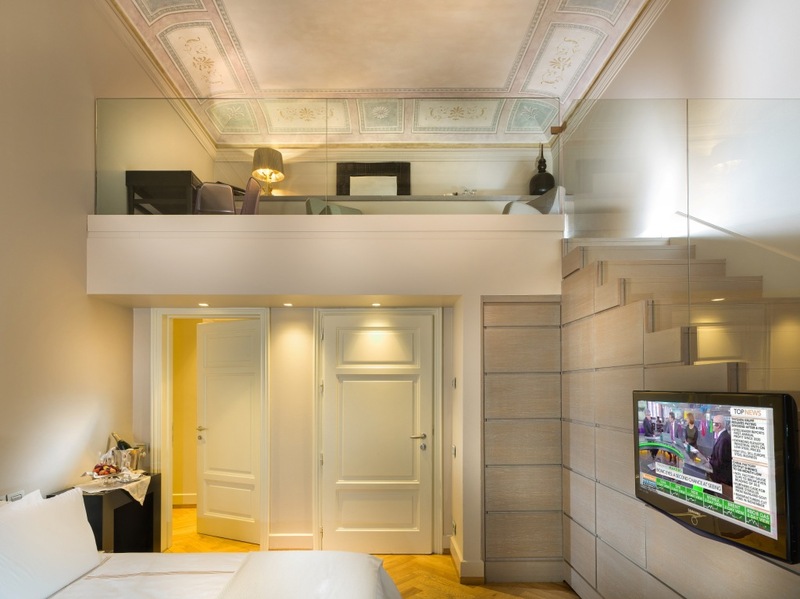 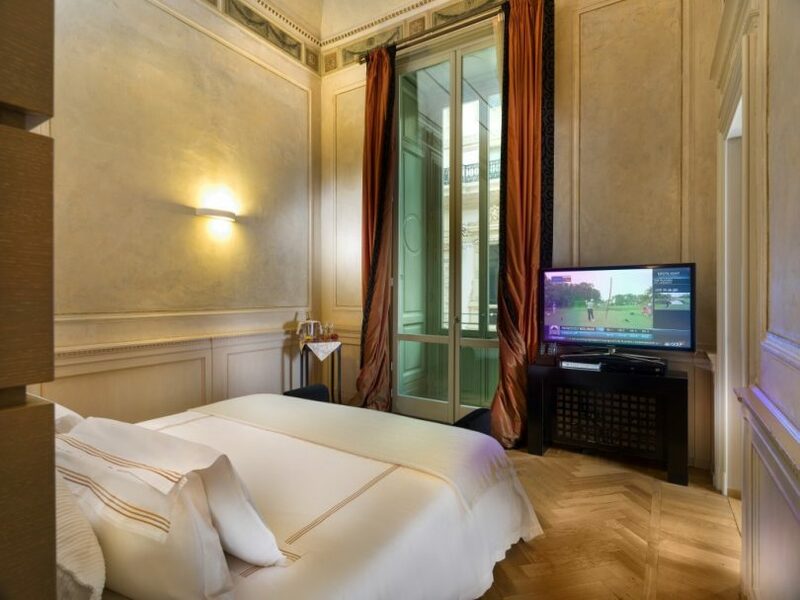 Just few steps away from the major attractions of Milan, TownHouse Galleria Hotel hosts the The World of Leonardo Da Vinci Museum and Museo del Calcio La Stringa d’Oro, with an exclusive and complimentary access directly from the hotel. 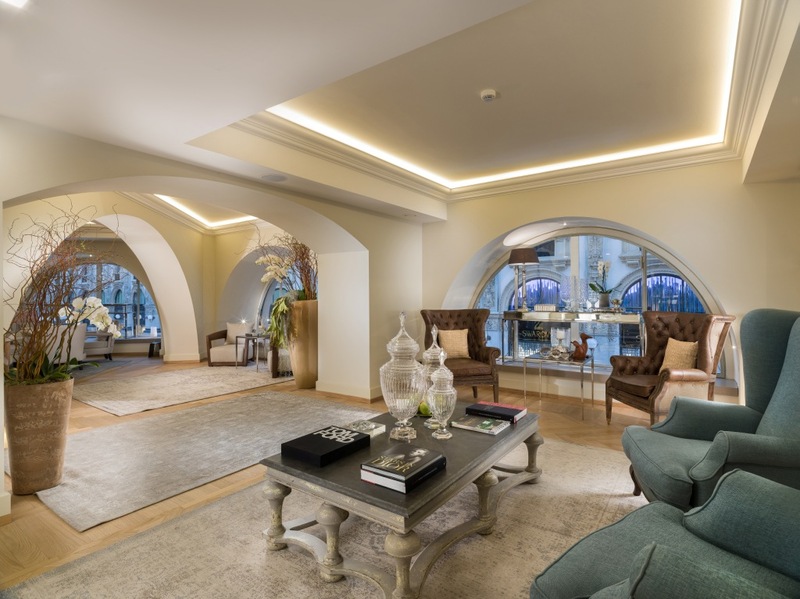 OTTAGONO LOUNGE: A vision of contemporary luxury, Ottagono décor incorporates luxurious fabrics, enchanting lounges with leather sofas and comfortable armchairs. 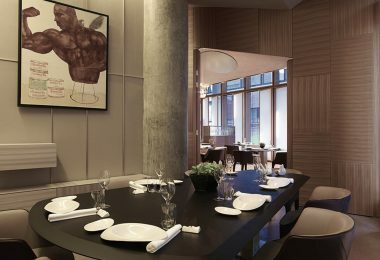 The Ottagono bar features a large wood counter with an iced section for raw seafood. 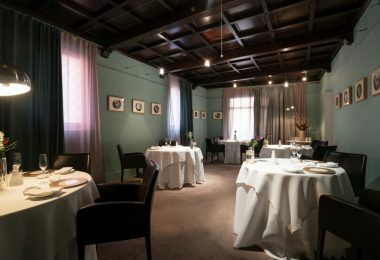 The corner lounge offers an intimate table made with the original larch wood recovered from the old attics of the Galleria. 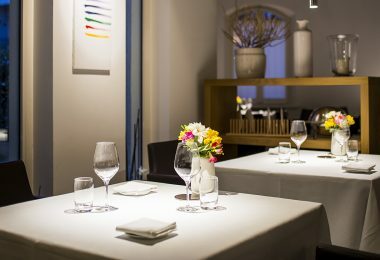 These views, combined with our delicious menu, never fail to impress, whether you’re visiting for the first time or are something of a regular. 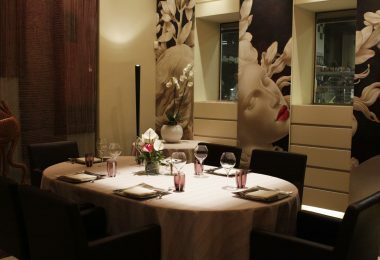 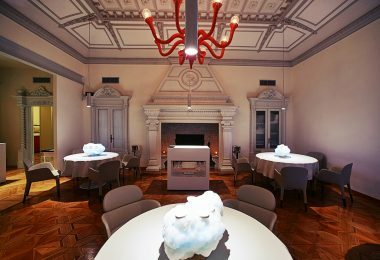 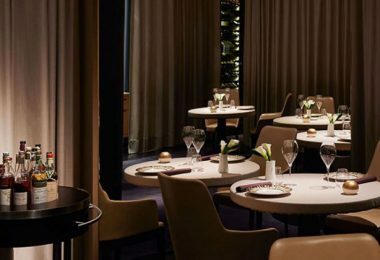 The ambience is luxurious yet cosy, making the Ottagono Lounge an ideal place to unwind after a busy day in Milan. 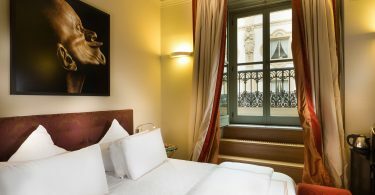 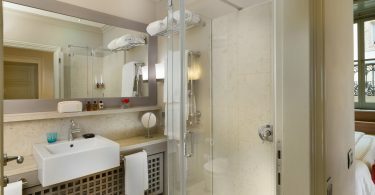 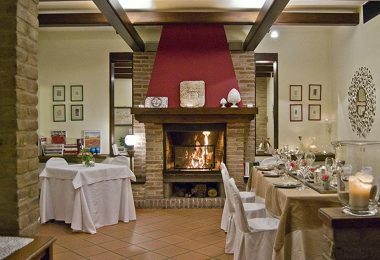 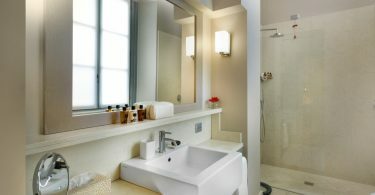 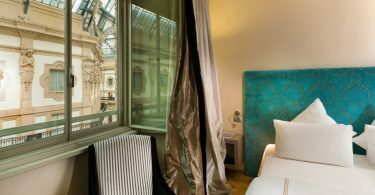 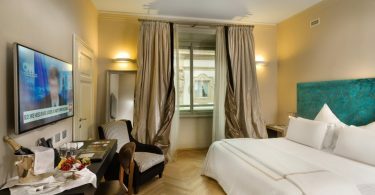 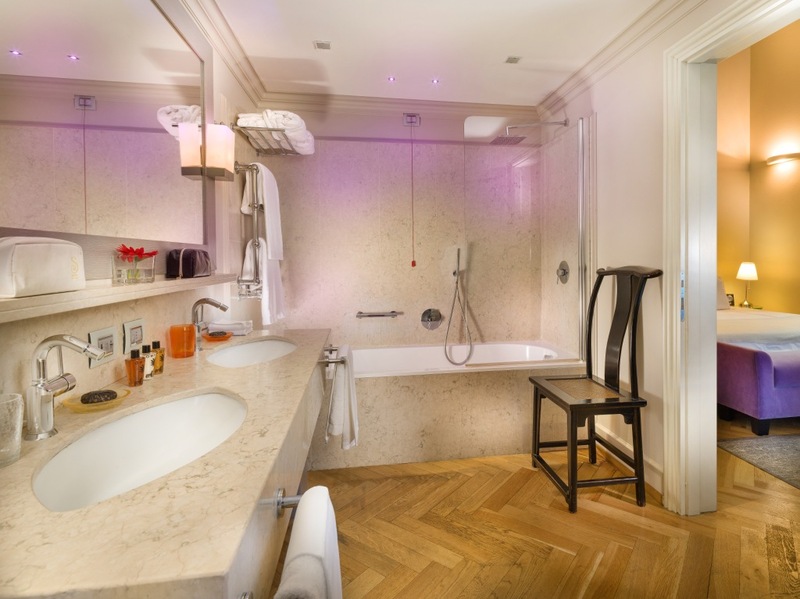 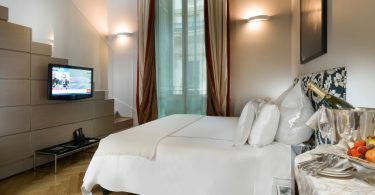 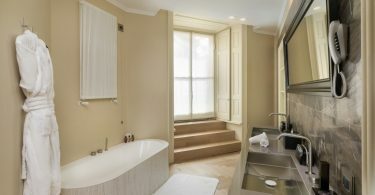 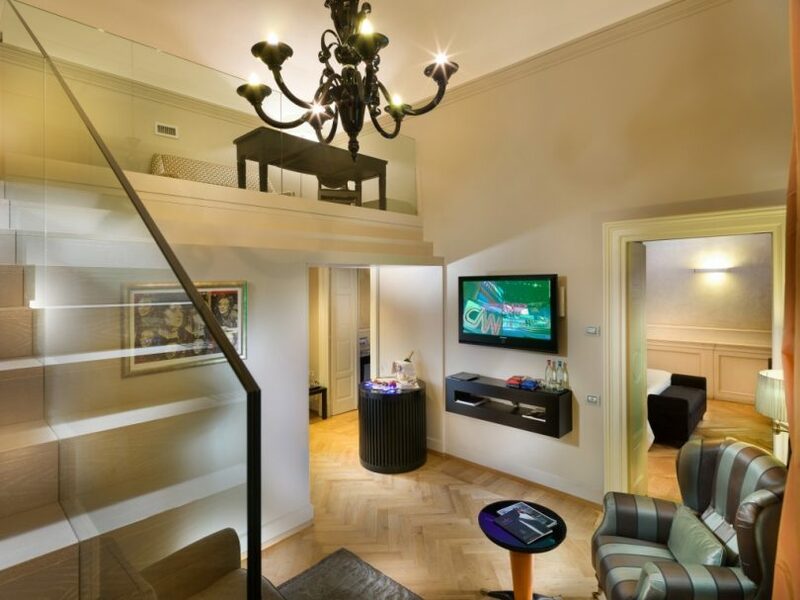 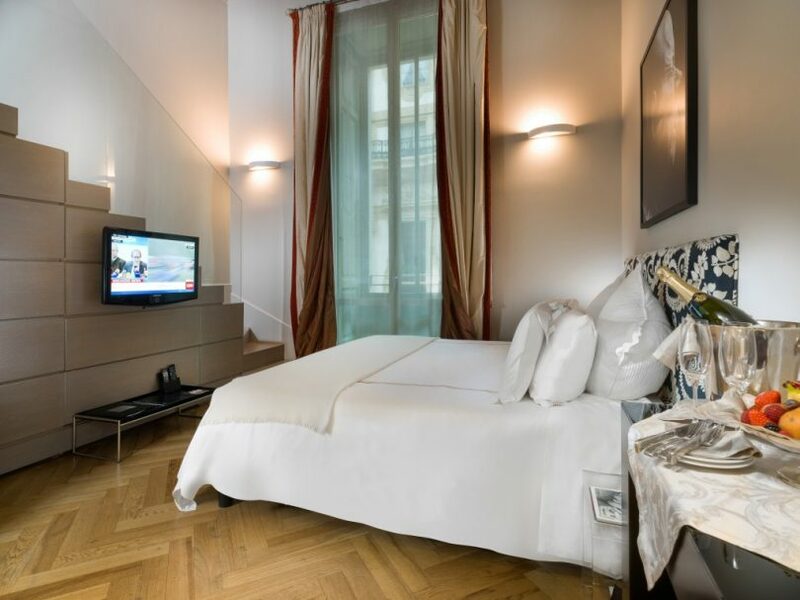 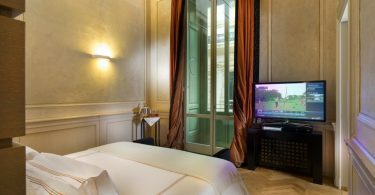 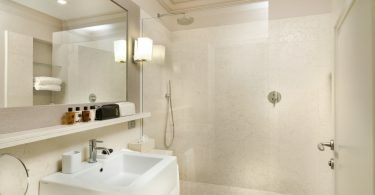 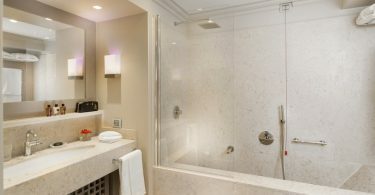 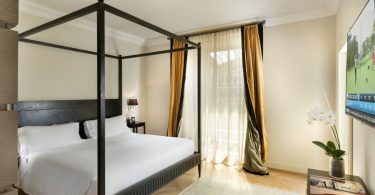 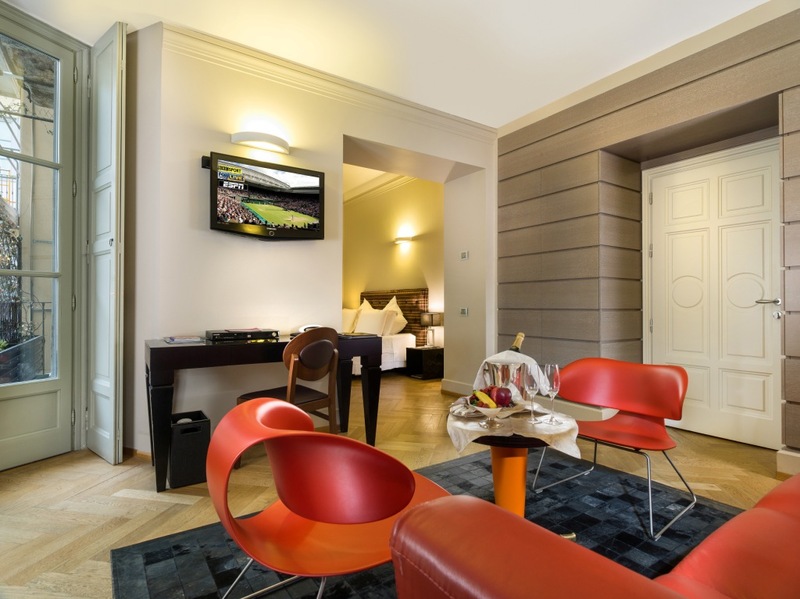 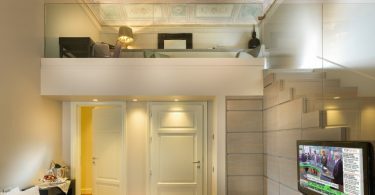 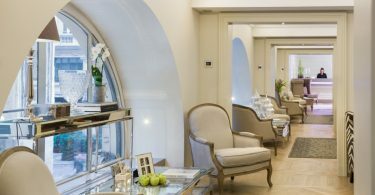 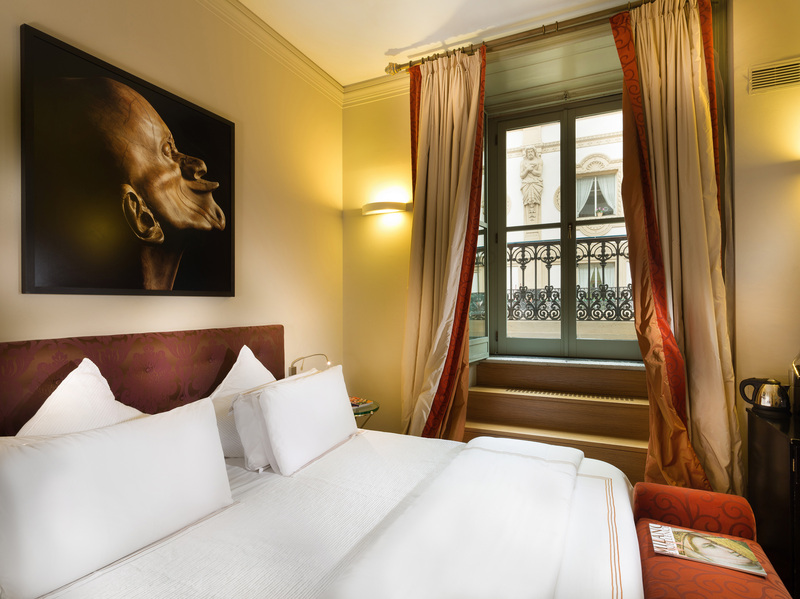 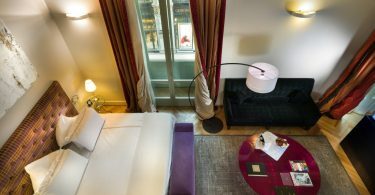 THE MONUMENT: TownHouse Galleria Hotel is located inside the famous Galleria Vittorio Emanuele II. 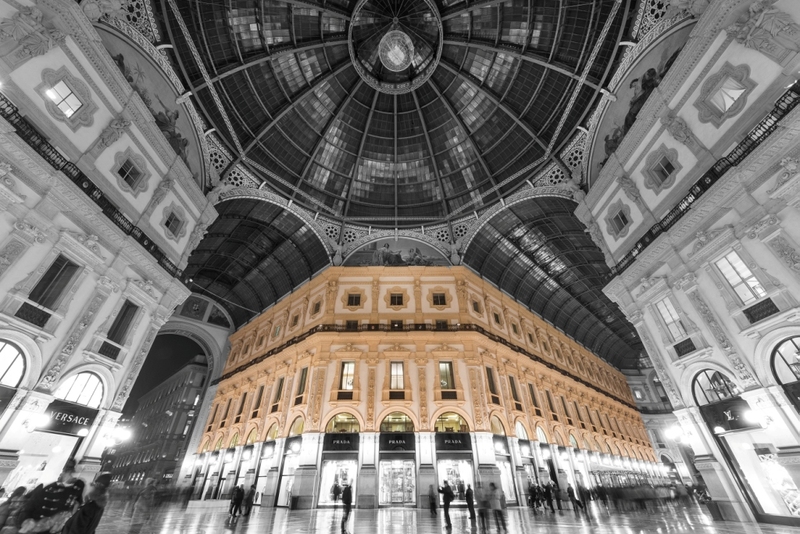 Galleria Vittorio Emanuele II is one of the world’s oldest shopping malls. 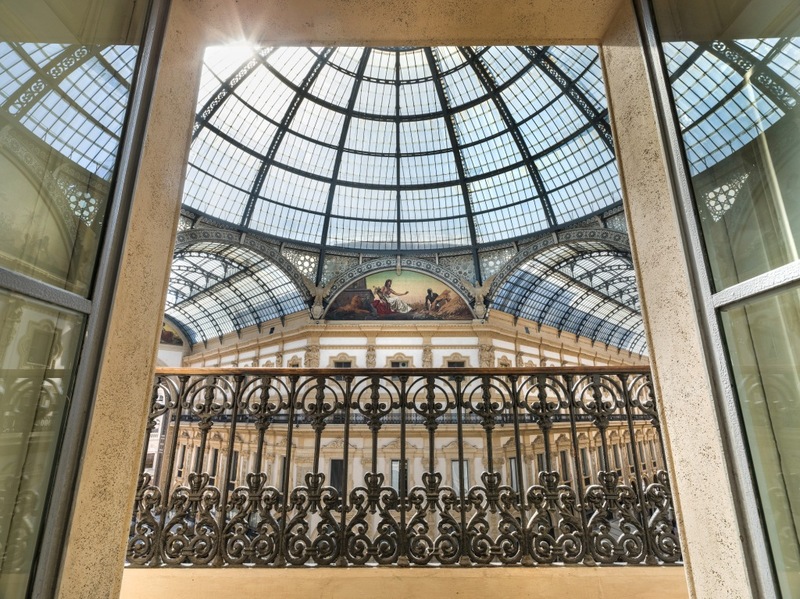 Housed within a four-story double arcade in central Milan, Galleria is named after Vittorio Emanuele II, the first king of the Kingdom of Italy. It was designed in 1861 and built by Giuseppe Mengoni between 1865 and 1877. The structure consists of two glass-vaulted arcades intersecting in an octagon covering the street connecting Piazza del Duomo to Piazza della Scala. 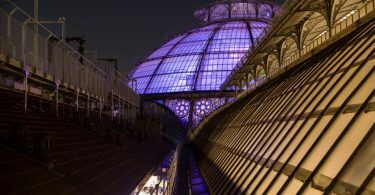 The central octagonal space is topped with a glass dome. 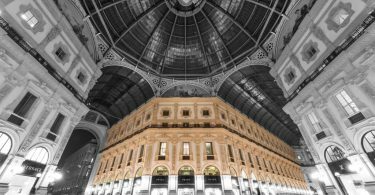 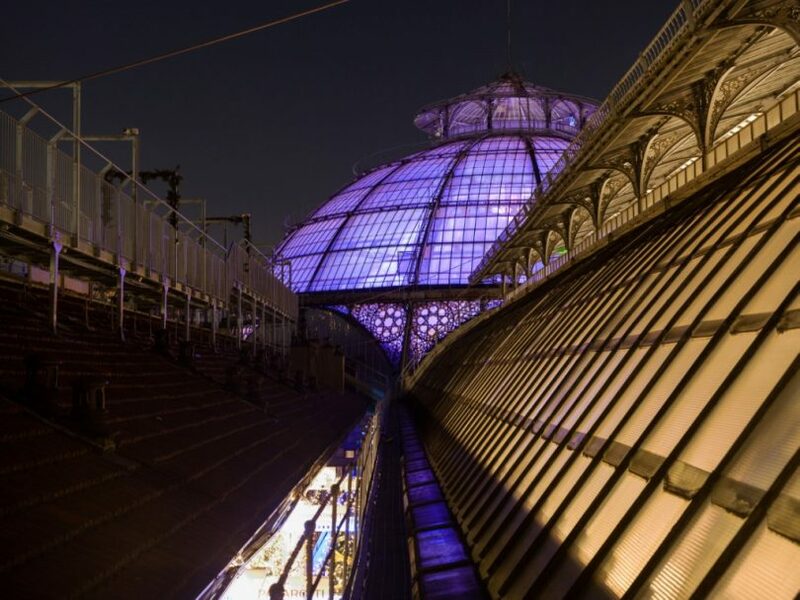 The Milanese Galleria was larger in scale than its predecessors and was an important step in the evolution of the modern glazed and enclosed shopping mall. 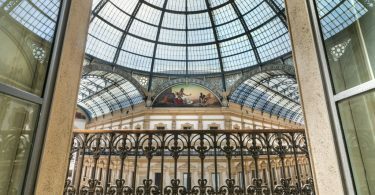 It has inspired the use of the term galleria for many other shopping arcades and malls. 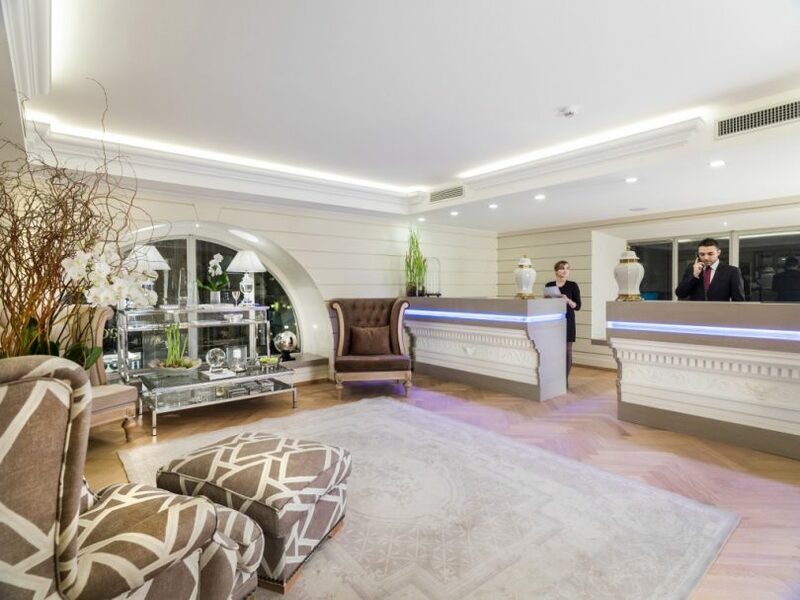 From the spectacular lounges of TownHouse Galleria Hotel at the first floor, you can enjoy a direct view on the most famous fashion brands located around the center of the Galleria. Tourists and locals know Vittorio Emanuele Gallery and its Octagon in the center, as the “living room of Milan” for its beauty and on its floor, in the center, you can admire a precious mosaic with the emblem of the Royal House of Savoy. 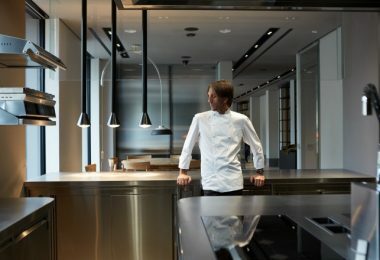 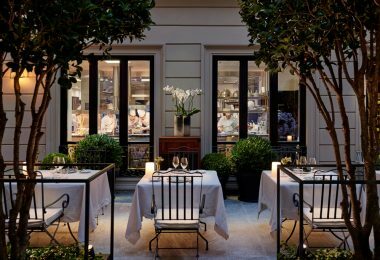 DINING: With inventive cuisine, tempting cocktails and unique surroundings, our bars and restaurants inside the Galleria Vittorio Emanuele II are among the most enticing in Milan. 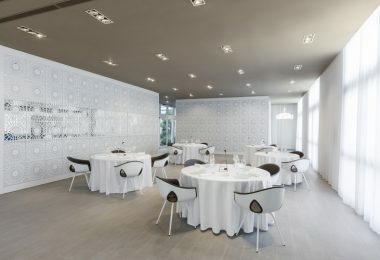 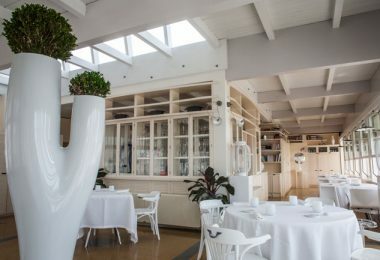 With unique and breath-taking views of the Monument, the Ottagono Lounge offers an array of delectable dishes and cool cocktails, all served with inimitable style. 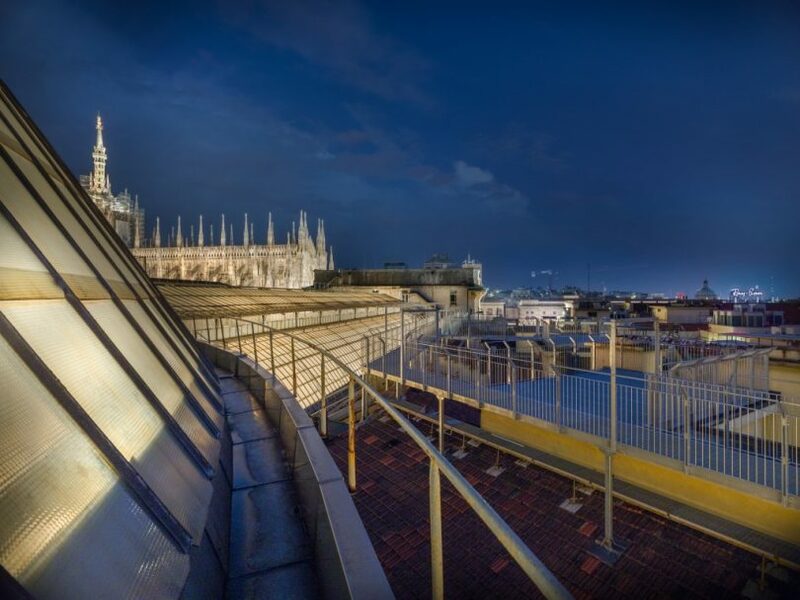 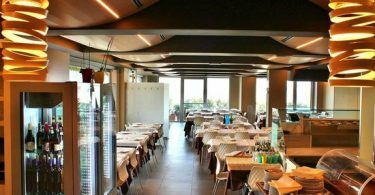 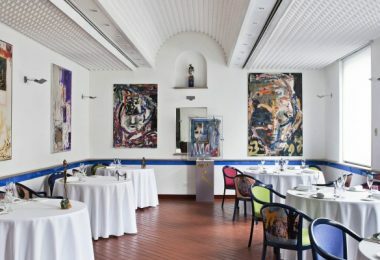 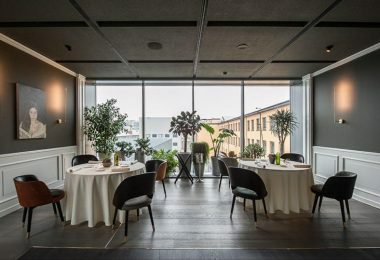 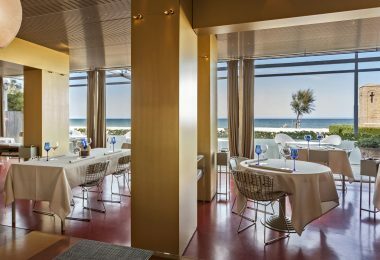 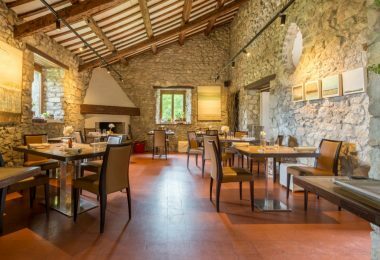 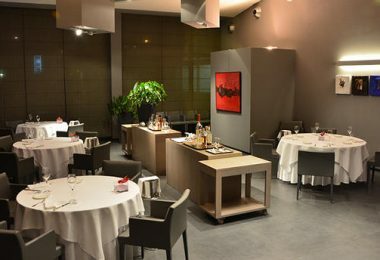 With its stunning terrace overlooking the Galleria rooftops and Milan’s skyline, I Dodici Gatti Grill & Pizza in Galleria, offers a wide range of traditional and creative wood-ﬁred pizzas and an assortment of grilled beef, as well as several pasta and wine options.